We are one week away from the one man tour de force known as Neal Medlyn. 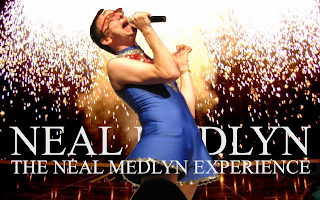 The Neal Medlyn Experience is a live, faithful re-enactment of Beyonce’s 2007 concert DVD The Beyonce Experience Live! featuring backup dancers, birthday cake, and cameos by Destiny’s Child. Words can’t describe what youtube can. Bring out the industrial fans, let’s see some acrylic hair fly. The Neal Medlyn Experience, One Night Only. Fri Feb, 12 @ 10pm. 12 Alexander St.